Seeing as I was in London on Saturday I took the opportunity to stay over and do some art gallery visiting. With this year being the 50th anniversary of the start of the decriminalization of homosexuality in the UK, there are a lot of interesting exhibitions being staged. The most high profile is the Queer British Art show at Tate Britain. More of that later. 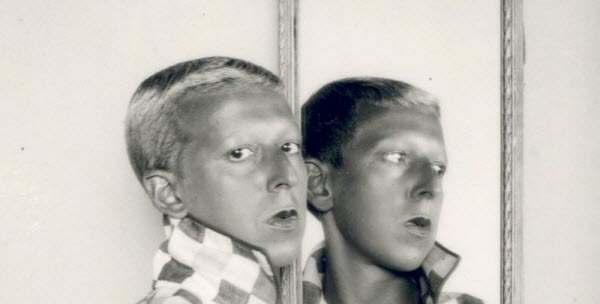 Right now I want to talk about Claude Cahun. Cahun and their partner, Marcel Moore, were French surrealist artists who lived together in Jersey in the 20th Century. Both deliberately adopted gender-neutral names and Cahun at least was adamant that they was neither male nor female. This is reflected in their art. That’s one of Cahun’s many self portraits above. During WWII both Cahun and Moore were active in the French Resistance, and were imprisoned for some time by the Nazis. Cahun and Moore were forgotten by the British art establishment after the war, but Cahun in particular were rediscovered by a British artist, Gillian Wearing. As far as I can make out, Wearing identifies as female. Certainly all of the self-portraits in which she is being herself are obviously feminine. 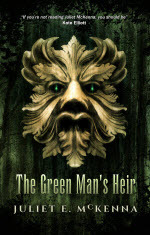 However, Wearing has a fascination with masks and gendered appearance. She has done many “self” portraits in which she is playing someone else. Her subjects include Cahun, Andy Warhol, Robert Mapplethorpe and various members of her family, including her father and brother. When playing someone else she makes a mask of that person’s face to change her appearance (and in the case of her brother she wore a full body suit to allow her to appear shirtless). The National Portrait Gallery has made the interesting decision to stage an exhibition featuring Cahun and Wearing together. 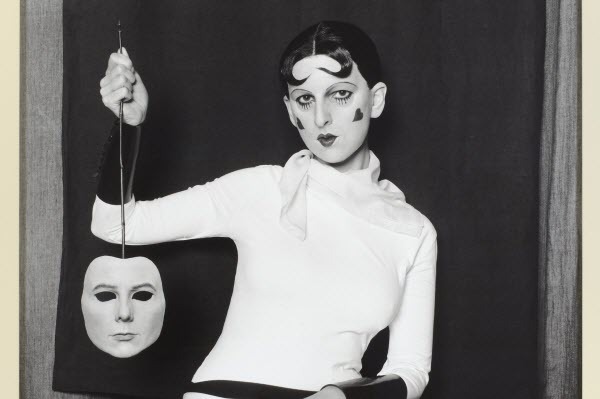 This is Wearing impersonating Cahun in the persona that Cahun used for a famous series of photographs titled, “I am in training don’t kiss me”. The mask that Wearing is holding is of her own face. There is a very large version of this photograph at the opening of the exhibition and it is quite stunning. What isn’t immediately obvious from Wearing’s impression is that Cahun is dressed as a circus strongman. In the Cahun photos the strongman’s barbells are present. The cute hairdo and makeup are therefore acting to feminize a very masculine figure; a statement that is lost by Wearing. Personally I found the exhibition quite disturbing. Some of that obviously was a result of the art. Both Cahun and Wearing set out to discombobulate their audience. But what really got to me was the persistent misgendering of Cahun throughout the exhibition. It was as though the National Portrait Gallery, despite prominently quoting Cahun’s self-identification, was insisting that a non-binary identity was invalid, perhaps even impossible, and that therefore Cahun could only be female. Part of this, I suspect, is that Cahun refuses to abandon their feminine side. These days “androgynous” is often taken to mean “male” by the media. Long hair, feminine clothing, colors coded feminine, and heavy make-up are all deemed inadmissible. Many of the photos of Cahun are recognizably feminine, and indeed the pictures of her on the beach on Jersey remind me of the mental image I have of Tristessa St. Ange from Angela Carter’s The Passion of New Eve. However, many of the images are recognizably masculine, and the fact that Cahun sometimes presents as feminine should not invalidate their non-binary identity. Mostly, however, I think the NPG is being clueless. There is a common view that non-binary identities are a 21st century invention. The more I learn about the early 20th century, the more obvious it is that this isn’t true. When I get to talking about the Tate exhibition I’ll be mentioning Gluck, who was adamantly ungendered. The NPG manages to be respectful of Lea de Beaumont in their famous portrait of her. They should have extended the same courtesy to Cahun. This entry was posted in Art, Gender. Bookmark the permalink. 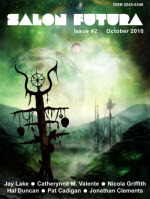 It struck me that with work by Cahun, Marlow Moss, Gluck and others this was a little unfair. I suspect they might well have identified as trans if they were around today? I’m happy to be corrected. Not to mention the prominent presence of Roberta Cowell. There are, as far as I could see, no binary-identified trans artists. That’s mainly because, in the period covered by the exhibition, it would have been very difficult for such a person to have achieved any acceptance in the art community. But, as you note, there were many non-binary artists.